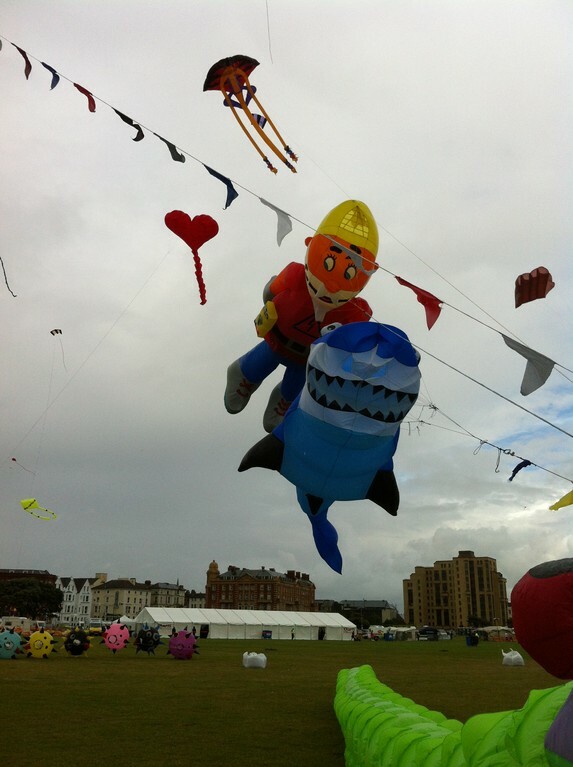 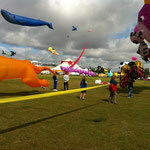 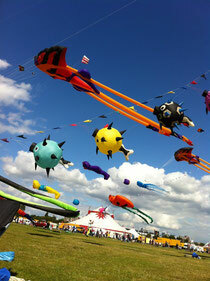 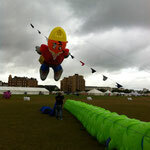 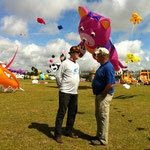 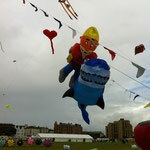 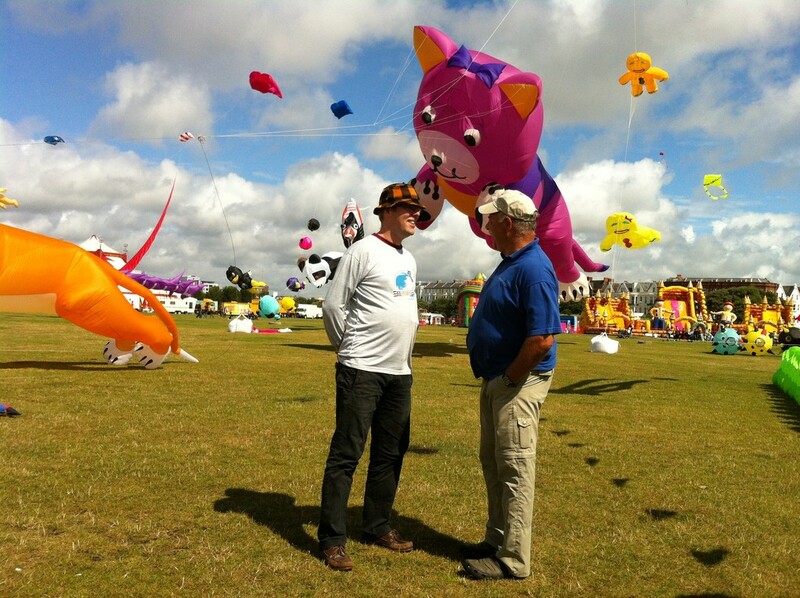 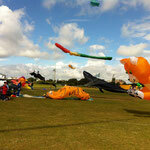 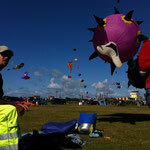 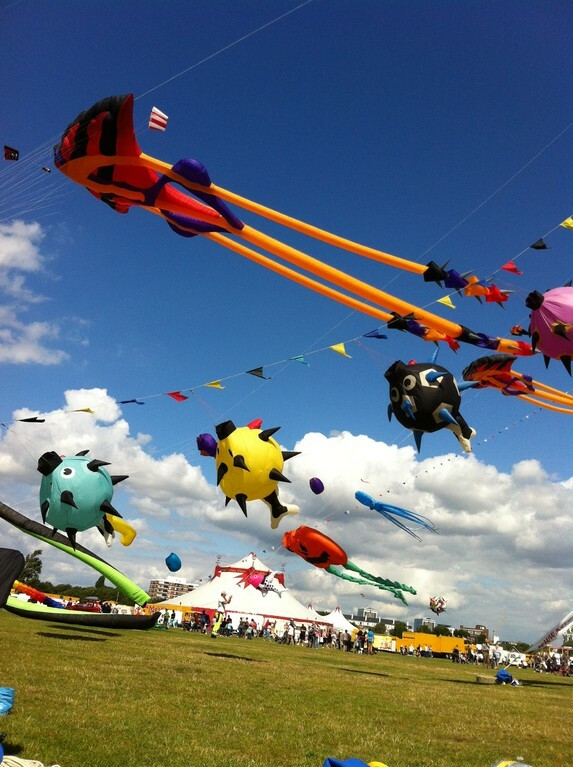 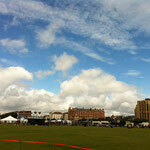 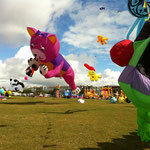 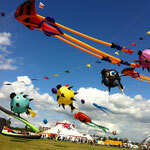 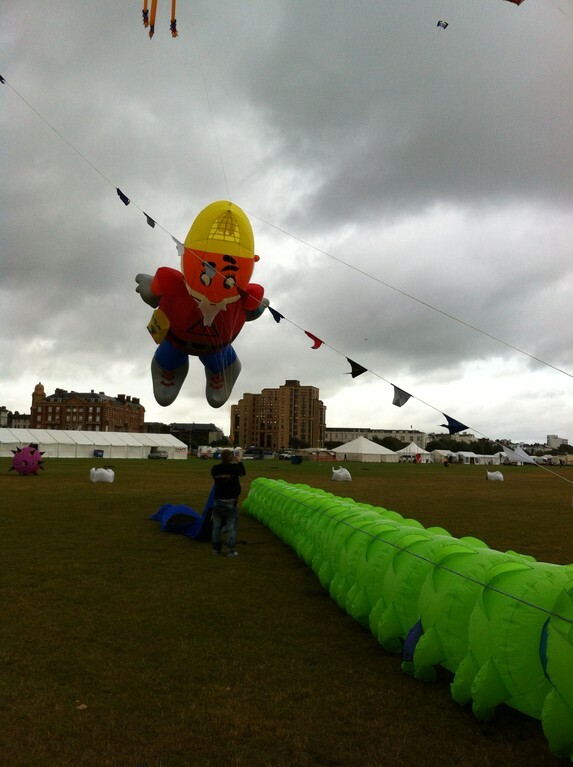 Volker and Christian visited the International Kite Festival in Portsmouth from the 25th to 27th of August. 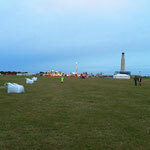 Arriving by plane, they met on the Gatewick Airport (London). 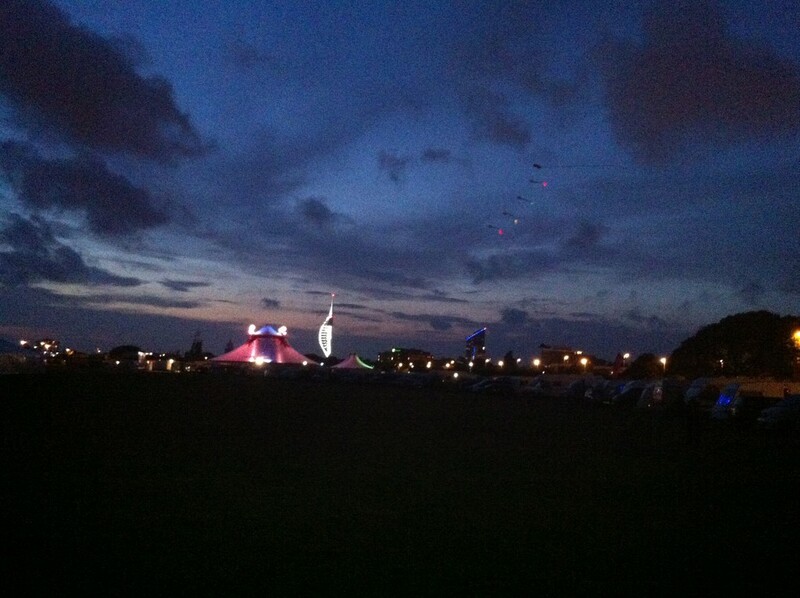 The bus link to Portsmouth needs two hours. 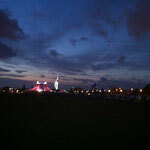 We stayed in a mixture between student hostel and a hotel directly at the festival field at the southsea area of Portsmouth. 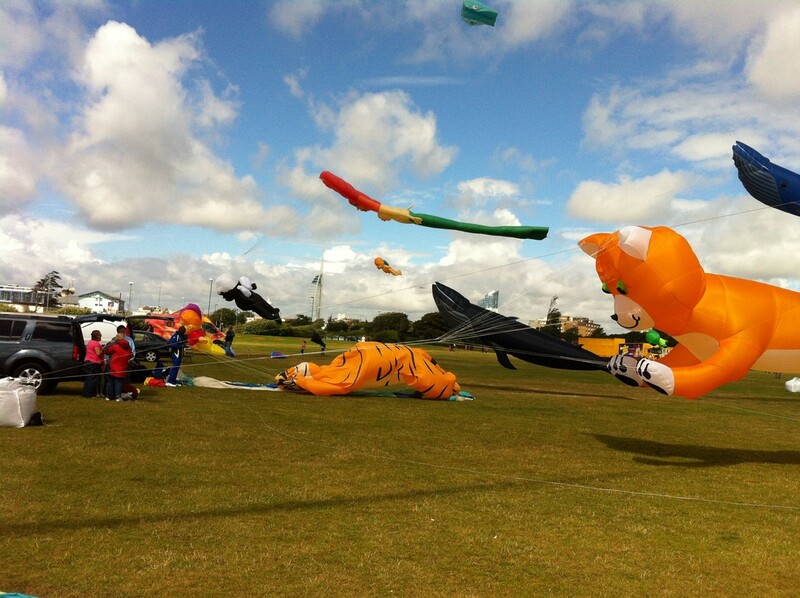 Because of the weather forecast, we were really scaring to get the kite wet, cause we were equiped slightly over the wight limit of the airlines. 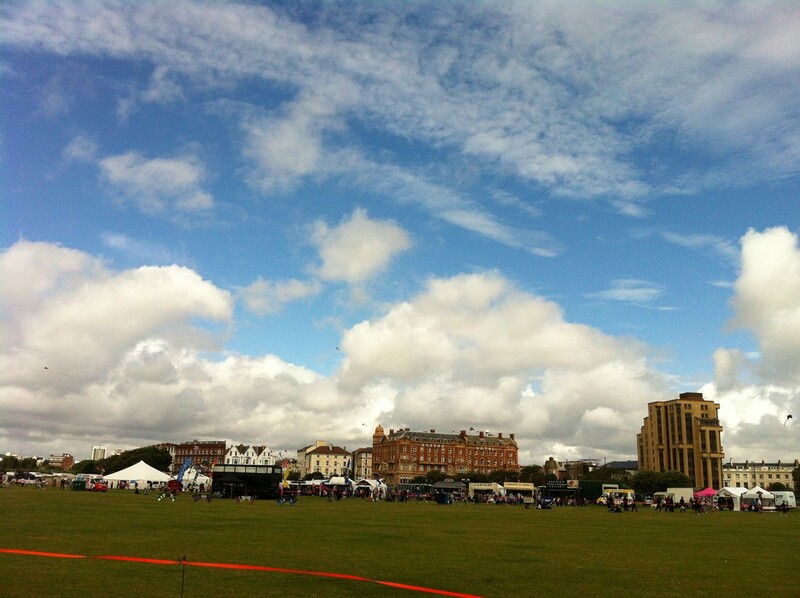 So, every drop of rain, could be very expensive for the flight back.....but....the weather conditions were really good. 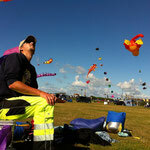 On Thurday we packed our stuff again, to be prepared for the wind conditions and so, we could fly all our stuff and had a good time. 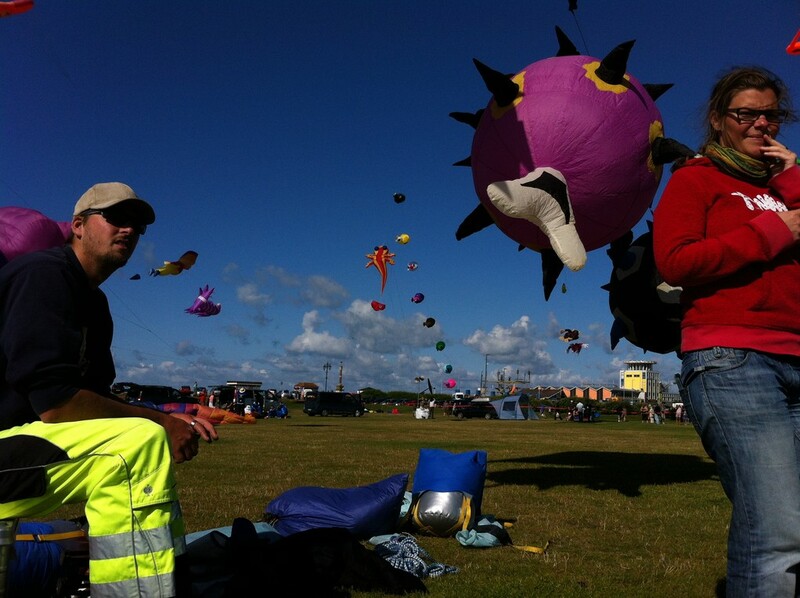 Additionally, to store our stuff over night and to fly the kites in trains, we got perfekt support from Carmen & Marc (Aufwind extrem) and Clara & Sebastian (UK / D kiter-on-tour). 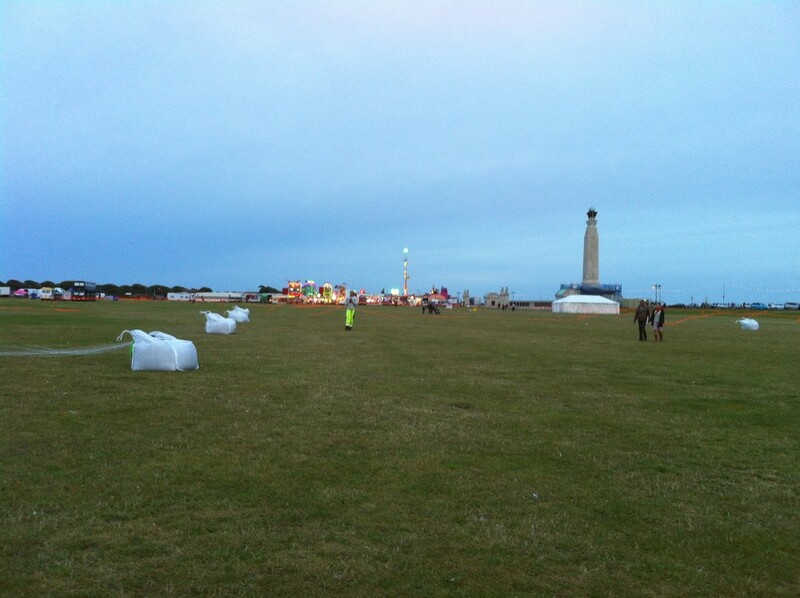 The festival is close to the city and next to the harbour. 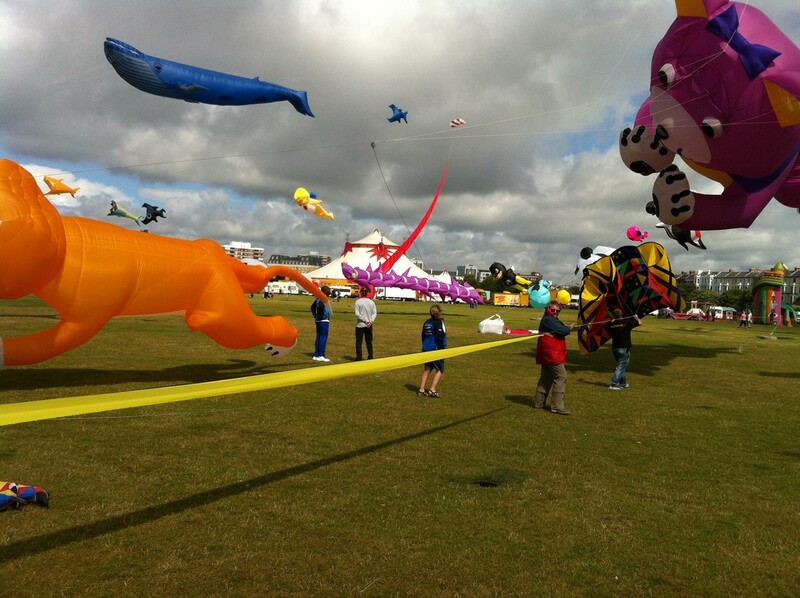 So especially on sunday and monday the area was very crowded of the audience. 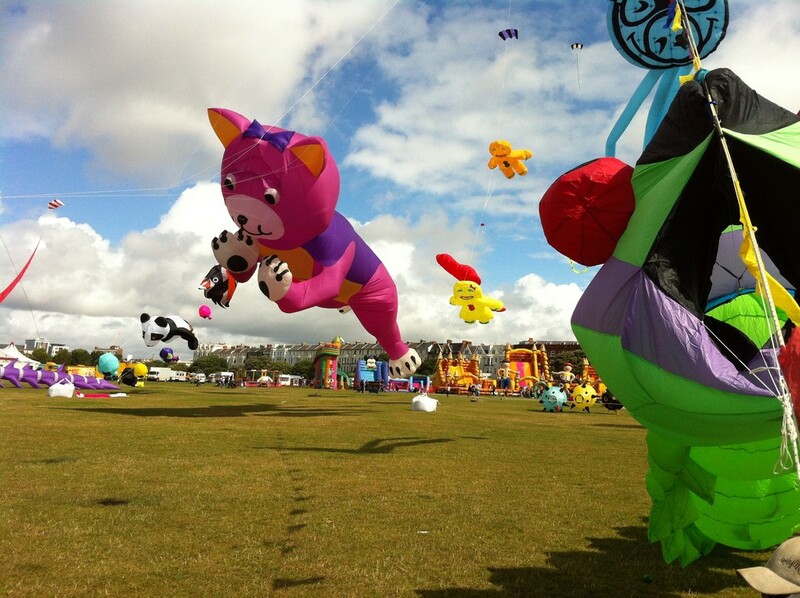 (Monday was the bank holiday in Britain.) 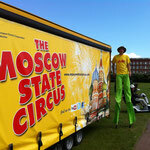 Close to the field was a funfair and "The Moscow State Circus". 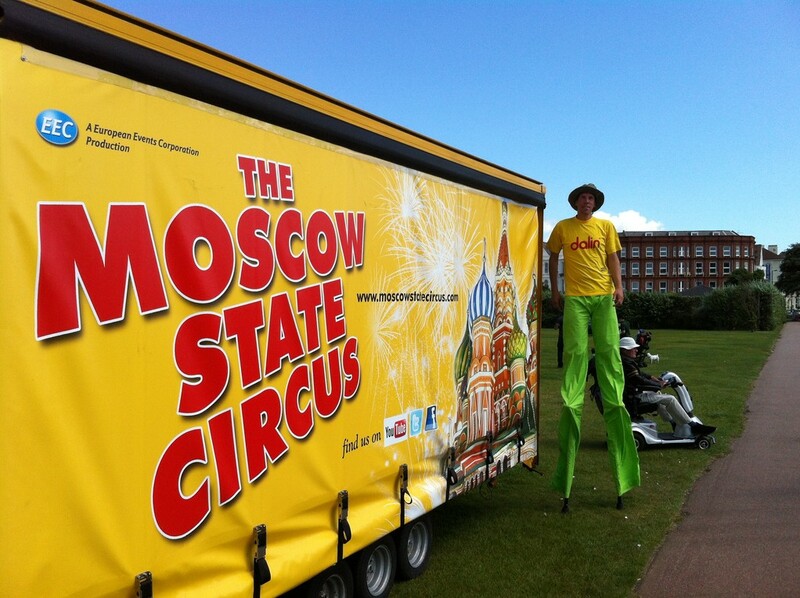 So there was an additional fun for Christian to walk on stilts around this area. 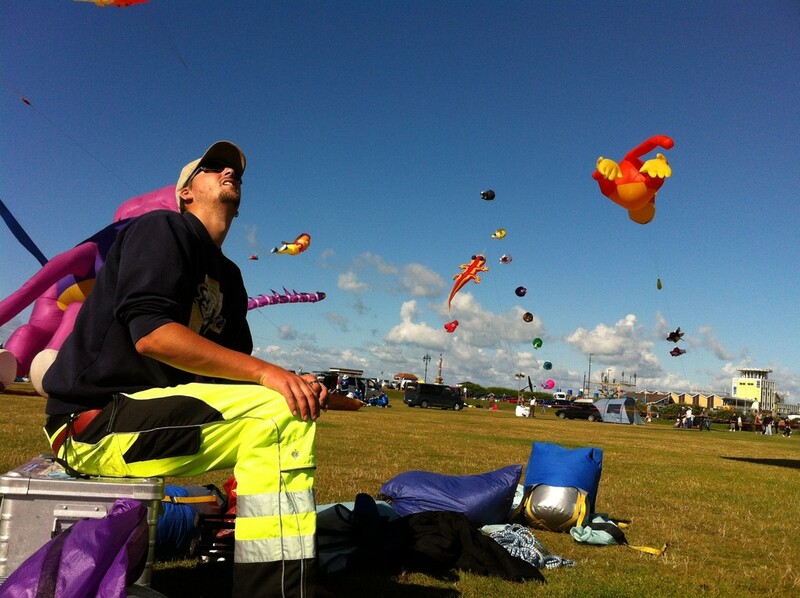 Because of the Hovercraft boats, which landed close to the field, we got over the day lot´s turbulences and so we became in contact to many new kite flyers and got new friends.